Kareena is a beautiful girl who was diagnosed just before her first birthday with spastic quadriplegia, level 5 - the most severe kind of cerebral palsy. Now four, her mind and development are that of a six-month-old. She cannot walk, talk and suffers constant painful muscle spasms and very limited vision. Kareena’s parents, Kate and Sunny, feel so proud of their little girl. But they struggle to keep up with financial needs. Kareena had outgrown her existing baby stroller, Kareena’s stroller sufficiently supported her until she was three years old. It had all the necessary padding to cup her head, body and legs. But, for over a year Kareena was too tall and heavy for the stroller that had been her support since she was a baby. Her arms were hanging down and would often bang on the metal side frames, leaving bruises. Kareena was forced to spend each school day strapped into the baby stroller that she had outgrown and was unable to interact with her classmates. Kareena had been waiting 12 months for a wheelchair, the cost of a new wheelchair was $15,350. Which was simply too expensive for this young family to afford. Thanks to the generosity and support of 20/twenty participants, Kareena was able to receive her new wheelchair. 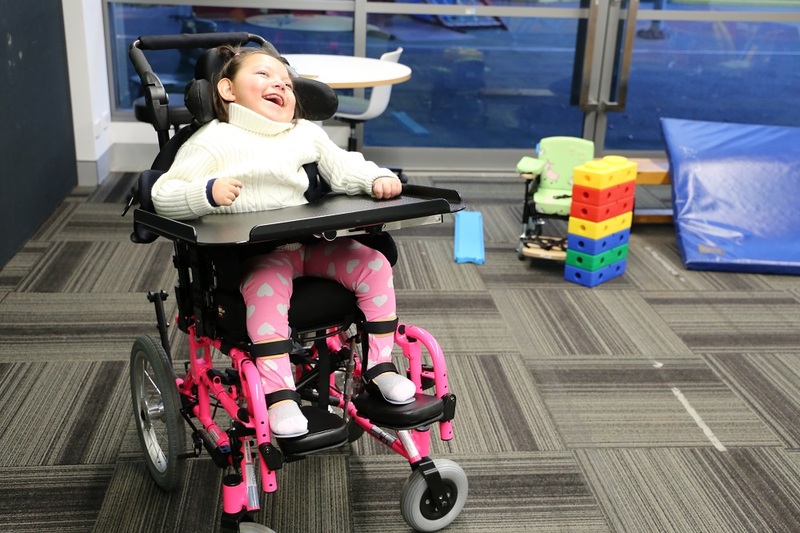 The new wheelchair will ensure Kareena is safe and secure, it will also provide essential support and allow her to learn and play without suffering daily pain and discomfort. It will also give Kareena the opportunity to engage in all the craft, art, music therapy and sensory play activates that she loves, as well as allowing her to make friends in the playground. 20/twenty gives children like Kareena the opportunities that come from having the right equipment that fits and supports their needs at the right time.